Many students are about to start probability in Term 3, and as I’ve mentioned almost every part of it is brand new. Before we start on the new stuff, let’s do some quick revision of what was covered in year 11 and a recap of a couple of things we’ve already sent out. 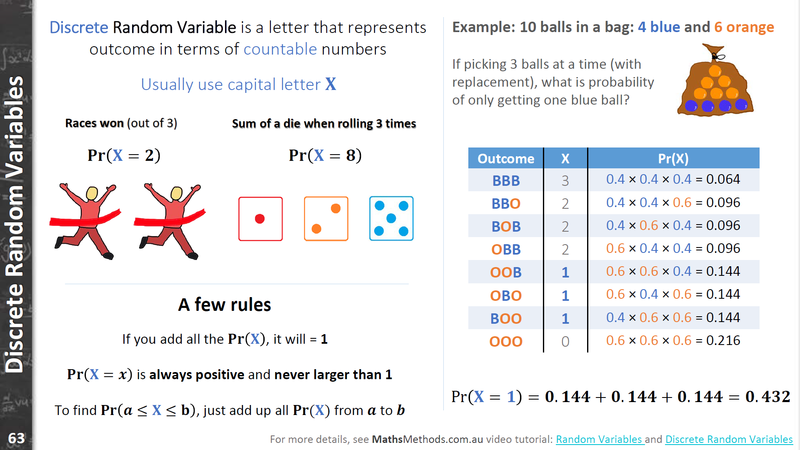 The following video is from the Maths Methods Revision Video Tutorial that covers the basic principles of Probability in in just 5 minutes but this is a very rapid review. If you find this moves too quickly, check out the Term 3 Maths Methods Video Tutorials as they vividly explain each part in detail and are only available to subscribers such as yourself.